Egg-citing news to share today! Our popular Egg-stravaganza scavenger hunt is coming back to the Epcot International Flower & Garden Festival and we have first details on this springtime egg-sperience as well as an ALL-NEW Spike the Honey Bee scavenger hunt. 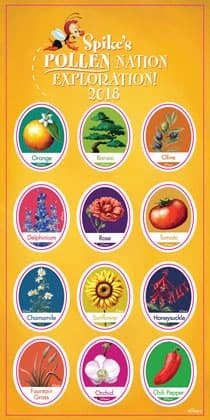 For more information on the Epcot International Flower & Garden Festival, visit epcotinspring.com. 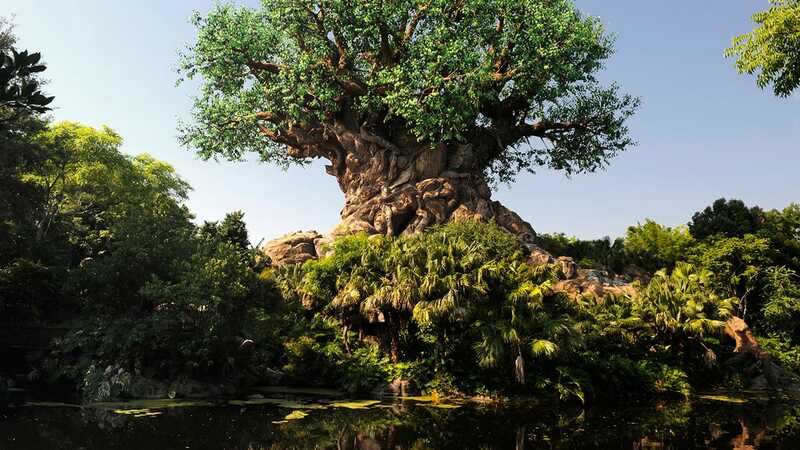 And be sure to keep checking the Disney Parks Blog for updates throughout the Festival. If you’re a pass holder do you have to pay extra for the egg hunt? My map says contest redemption valid through April 14th. I️ I hope that is correct because I am a pass holder and can not go back until April 7 to finish.??? We just got back from our trip, we go the second week of March every year and always look forward to the Eggstravaganza. My kids were so disappointed that it started later this year. We did the pollen-nation but my kids collect the Easter eggs and so now it looks like I will have to pay eBay prices for the eggs. So disappointed. I did the egg hunt in 2016 and had a blast!! This while be my first time back to disney land in two years and I was looking forward to completing it but am going April 3rd and 4th!!! Please extend the egg hunt through the week of Easter for the holiday week!!!! March 16 to at least April 7 or 8 or even a full month of it until April 16. Please consider it, a lot of people will still want to do it a week later. 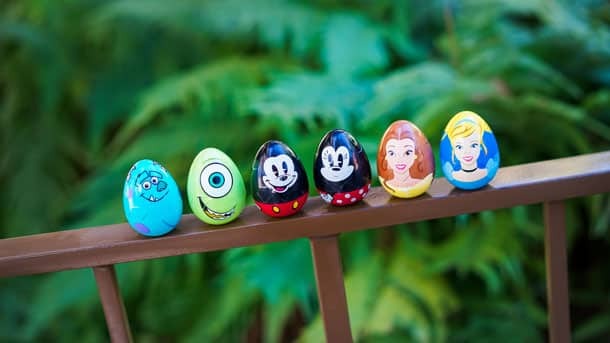 Will there be an eggstravaganza at Disneyland Resort? If so, have they posted the dates? For all the research and authenticity that Disney is know for; I am quite disappointed with the Icon for the Honey Bee Scavenger Hunt! As a Bee Keeper I know and feel the public should be enlightened that the Honey Bees one sees pollinating flowers are Female bees. The females are the bees that collect the pollen for food and the nector which they turn into honey. Males are rarely if ever seen outside the hive. Thus, The Icon should not be named and portrayed as a drone. I’m also disappointed and hoping the egg hunt will be extended! We’re AP holders and will be there the weekend before and the weekend after it starts but cannot get there during the hunt! Our kids love it and would like to participate but I don’t see it happening this year unless the dates are extended. Add me to the list of people pleading to extend the Egg-stravaganza hunt! My family often goes during the first week of the festival, and this has been a favorite activity for years! I’m glad for the Spike hunt, but please, please, please set up the Egg hunt earlier!!!! I’m really excited for the addition of the pollinator hunt! Thanks for adding this! Oh no, please, please Disney reconsider these dates, why only through April 1st for the Egg Hunt?. I was so looking forwarding to doing this with my grandkids, I believe it always ran through the length of the festival, how can we Disney to change their minds about the time frame? If not the full length at least through April PLEASE! Will the dates for the Disneyland egg hunt be posted soon? Just trying to make plans to attend. To any that did not know , yes Spike is a male honeybee but he is from cartoons of the 1940’s, he is not a new creation. He was Donald Ducks foil in many cartoons. Donald would always try to swat or hurt him and Spike always gave Donald his comeuppance. I am glad to see a traditional legendary character being brought out and shown off again! I love the scavenger hunts at Epcot and the eggs this year are adorable! I am also very disappointed about the dates. We will be there March 15. I was so looking forward to the Egg Hunt. Please reconsider the dates! Disney, I love that you are drawing attention to pollinators, but why is Spike a he? Male honeybees are called drones, and they don’t help with pollination! The hard working bees buzzing all over world showcase, who are busy pollinating all your gorgeous flowers, they are all female! I’m so sad that is will only be available for two weeks! Why not for the whole festival like last year? I will be at Epcot 3-10 March and was planning to participate. Disappointed to learn the egg hunt is shortened to just through Easter this year. After looking at the info on last years dates, me and my family were excited to learn about the egg hunt and that it was available throughout the duration of the festival. We’ll be at Epcot the day after Easter this year and will miss it by one day. We were looking forward to trying something new. : ( I hope they reconsider the dates. Could we please get a clarification on the dates for the Flower & Garden Festival and the two scavenger hunts? There are conflicting dates depending on what you read. Thank you! Hi Angeline, Spike’s Pollen Nation Exploration will run for the duration of the Flower & Garden Festival (February 28-May 28), while the Egg-stravaganza will run from March 16-April 1. Is the “Spike’s Pollen Nation Exploration” scavenger hunt running throughout the entire Flower and Garden Festival, or just select dates? Yes, it’ll run for the duration of the Flower & Garden Festival -February 28-May 28. Thanks, Victoria. Good morning…I hope you can please respond back. We will be at the Festival at the end of April, will Spike’s Pollen Nation still be occurring at that time? Or does it end after Easter? Lastly, I hope DLR will still have the Egg Hunt. If so, do you have the dates? Thank you!! Hey Liz, Spike’s Pollen Nation Exploration will be running during your visit – hope you have a great time. Is there a reason this egg hunt is only running from March 16-April 1?